GOQii’s latest fitness band, RunGPS, is now available for sale in India via e-commerce site Amazon.in. The wearable has been priced at Rs 4,999 and is targeted at the running community that trains and coaches for marathons, treks, and other activities. GOQii introduced the RunGPS last month in the country alongside the VitalECG and VitalGluco. The latter offerings are yet to go for sale in India. The GOQii RunGPS is touted as a GPS-enabled wearable with Marathon coaching delivered via GOQii Play, an interactive video platform. The company alleges that it has partnered with top YouTube Fitness coaches, doctors, and running trainers to offer personalised coaching for a healthier lifestyle. The list of professionals includes Sardara Singh (former Indian Hockey team captain), Ranveer Allahbadia, Jeet Salal, Gaurav Taneja, and Abhinav Mahajan who are India’s biggest fitness stars on social media platforms such as Youtube, Instagram, and Facebook. As stated above, the GOQii RunGPS can track walking, running, and other related activities thanks to the built-in GPS tracker. 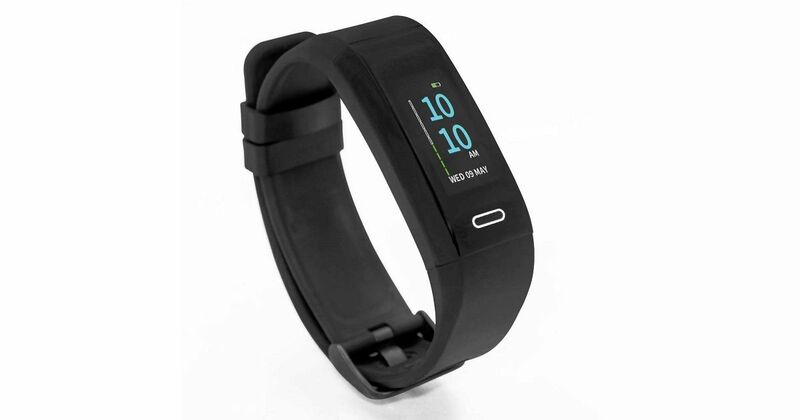 The device has six modes that show the steps walked, distance covered, calories burnt, heart rate beats and duration. Apart from that, it can also monitor users’ sleeping pattern and can be connected wirelessly via Bluetooth to any Android or iOS devices. The compatible GOQii Play app allows you to adjust the settings of the wearable and analyse the fitness data in the form of stats. On the battery front, GOQii claims that the tracker can last up to 7 days on a single charge. The RunGPS has a USB charger that can easily be connected any power back, adapter, or laptop. Lastly, the device comes with a family care plan that offers a personalised doctor consultation for the subscription period of three months for one selected member. Other services that GOQii RunGPS offers GOQii Play – which is a video platform for health and fitness related content, GOQii Health store – organic healthy food and food products, and GOQii Arena – a platform that helps connect with like-minded health individuals.